How can I receive text message notifications on my mobile phone? 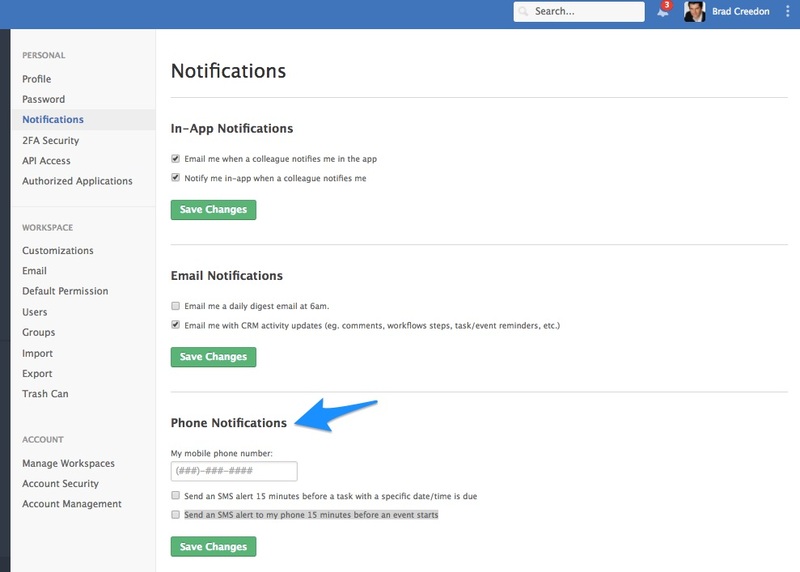 If you wish to receive text message notifications navigate to your “Notifications” page within your Settings. There you will find the option of turning on text notifications. You have the option of choosing to receive an alert 15 minutes before a task with a specific date/time is due, or an alert 15 minutes before the start of an event.